Bankstown is a suburb to the south west of Sydney, not far from Punchbowl, Georges Hall or Liverpool. 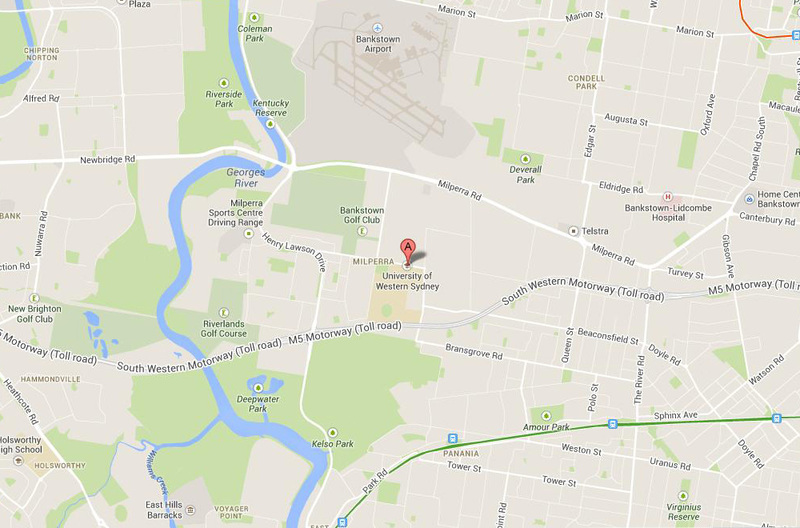 University of Western Sydney, Bankstown Campus, Bullecourt Ave, Milperra NSW 2214 ‎ (Pink marker "A" on the map below). Best access to Bullecourt Ave is off Henry Lawson Drive or via Ashford Ave off Milperra Rd. Games are played on a massive AFL field with great lights and grass cover. Access to the ground is via the rear car park at the back of the campus adjoining the Tennis Courts. There are Toilets available at the grounds. Click Here for a more detailed map and directions to UWS Milperra.